In 1879, a 25-year-old Wellington Walton saw an opportunity within New York's growing theater industry. Using a single hand truck, he began hauling the props and personal effects of actors at the 14th St. Theatre near Union Square. By the mid-1880s, his business had grown to incorporate horses and wagons with multiple stables located in Chelsea. As the theaters moved uptown and burlesque and vaudeville gave way to newer forms of media in the early 20th century, the company purchased some of the first motorized trucks, expanding its services to the transfer of scenery, effects, and recording equipment with a storage facility in Jersey City. By mid-Century, Walton serviced Broadway, radio, and television programs, at one time working with all three major networks in New York. Throughout this process of growth and transformation, the company was guided by four generations of the Walton family, entering the 21th century under the leadership of Eugene P. Walton. 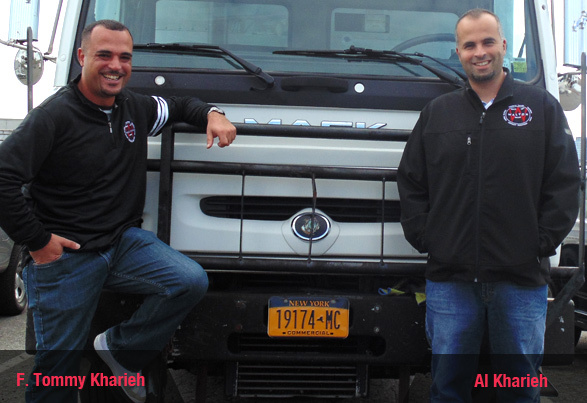 In 2012, the company was purchased by Al and Tommy Kharieh, moving to its current location in Greenpoint, Brooklyn. Since that time, the focus of the company has shifted to the film & television industry, more than doubling the fleet to accommodate the explosion of work enabled by New York State's Film Tax Incentive. Though the ownership has changed, the company and its commitment to the industry remains as strong as ever. For over 135 years, Walton has proven itself adaptable to the changing demands of one of the nation's most unpredictable industries. Through our commitment to the quality of our equipment and solidarity with the 817 Teamsters who drive our trucks, we hope that these values will take us well into the next century and beyond.